Hard boiled lozenges are solid preparations and galenic forms used in pharmaceuticals and medical devices that are intended to slowly dissolve in the mouth. 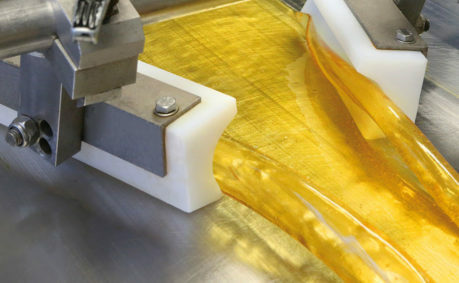 Sugar based formulations usually consist of sucrose and glucose liquid, while for sugar free formulation isomalt and maltitol are used as sugar substitutes. 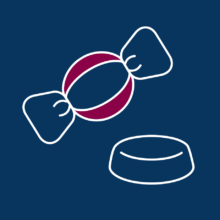 DISCH is currently manufacturing both, hard boiled lozenges with sugar and without sugar in numerous shapes, formulations and packaging types. According to the specific formulation all components are electronically weighed and fed into the cooking system, where concentrated under vacuum condition between 120°C and 160°C. 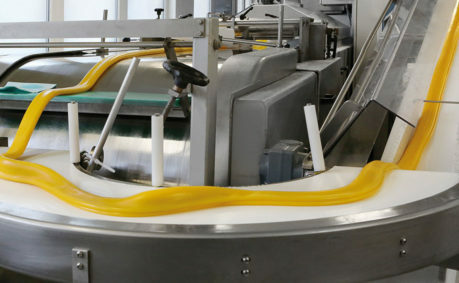 The resulting viscous syrup is then transferred to a blending device connected with dosage pumps for solids and liquids. At this point the active ingredients are precisely dosed meeting the requirements of homogenous distribution of actives (Uniformity of Content). Average weight and uniformity of mass meet the legal requirements. Disch is a contract development and manufacturing organization (CDMO) for pharmaceuticals, medical devices and food supplements based on confectionery technology. Learn more about Product Concept and Innovation. What can we do for you? For all business inquiries contact Daniel Bernegger.